'Irititju Tjamulu' is the first song to come from the newly formed NG Media Choir. It was co-written by lead vocalist Lemih Thompson Fry and our contracting music coordinator Mark Smerdon who also composed the track. There were backing vocals by local songstress Hinerangi, Ng Media manager Chris H, Irrunytju band member Chris R and radio assistant Sarah who's vocal cords were stretched beyond what some originally thought would be possible. 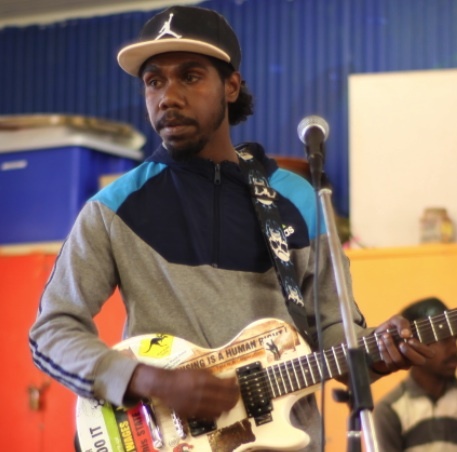 The ethereal tones are very different from the usual bush reggae style that come out of the Lands, but are something that has expanded the musical abilities of the singers. Hinerangi is already in talks to begin training other women to join the choir for future live performances. The recording process was amazing. The choir was formed to perform this song. Noone had done anything like it before. When they heard the finished product they listened with tears rolling down their faces. They didn't know they could make music like this! And WOW. They sure did!! !